The traditional route starts in Chamonix and heads anti-clockwise to Les Houches and then on to Les Contamines. During a two week trek, you might stop in Les Contamines for an extra night and climb Mont Joly (2525m) on your day off. You then make the massive climb over the Col du Bonhomme and on to Les Chapieux and then the Col de la Seigne to Courmayeur. However, by following the traditional direction you complete the three biggest days of the trek at the beginning of the trip and many people find it quite stressful: there is consequently a nervous atmosphere is the hotels in Les Contamines and people don’t really enjoy these parts of the trek. As an alternative, many people now follow a clockwise direction which means that the first five days of the trek are relatively easier and allows you to build your fitness and confidence before tackling the last three big days. It also means that the last three days – over the high mountain passes – are much more enjoyable. Whichever direction you choose to travel makes little or no impact on the quality of the views – it is still a wonderful trek, whichever way you go. How long will it take to do the TMB? Once you have decided which way to go around the Mont Blanc massif, you need to consider the length of your trip. At a minimum, you need a week, but this would mean covering some sections by public transport – unless you walk extremely fast! And the length of your trip will also influence the cost of the trip: the longer it takes, the more it will cost. Most people settle on completing the trek without the use of much public transport and walk the eight or nine sections in the same amount of days. It is also sensible to include a rest-day at some time: most people choose to stay in Courmayeur, but Champex Lac is a very nice alternative. If you trek for eight days, with a day off in the middle of the trek, you also need to allow a day at the beginning and end to travel to and from the Chamonix Valley. Therefore, eleven or twelve days in total is a sensible amount of time to allow for your trip. It can be worth building in a spare day in case of poor weather or if you are unable to continue due to a small injury or blisters. You may also consider one or two days extra so that you can sightsee in the Chamonix Valley. 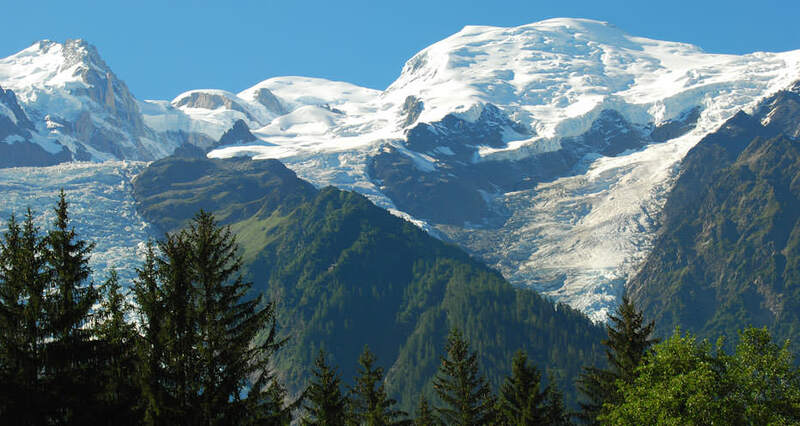 There is a lot to see and it is a great place to relax and bask in the success of your trek around Mont Blanc. For those who are really strapped for time, you can split the trek into two halves and complete one half this year and then the next half the next year! Some tour operators offer this as the north and south routes and can be a useful compromise for those who are time-poor. Finally, the normal route followed in a clockwise direction is Chamonix, Argentiere, Col de la Forclaz, Champex Lac, La Fouly, Courmayeur, Les Chapieux, Les Contamines, Les Houches and/or Chamonix.